Need some new Zelda memorabilia to add to your wardrobe? Maybe you would like something unique and clever that most people have not seen before? For a limited time this week, Woot.com has an ancient solution for you! 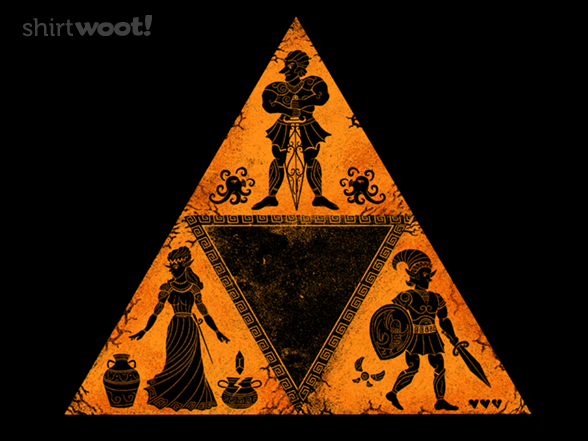 Their featured “Shirt.Woot” for today is a wonderfully designed shirt that combines the beloved characters of Zelda with the distinctly ancient style of Greek pottery. 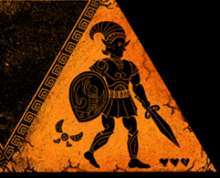 As you can see, this unique design features the Triforce as though it were a piece of Greek pottery. Each of its three bearers is depicted in their respective section in the distinct silhouette that is reminiscent of that era. The artist even went so far as to add cracks! If you would like to wear this cool piece of work, you will need to act quickly; it is only available this week. You can head on over to Woot.com to purchase the t-shirt for yourself for only $15!